I had been looking for a pair of tight dungarees for a while. I found out they are very hard to find. Most dungarees or overalls are very baggy and loose. That’s not really my style and it makes me feel very frumpy. That’s why I was super happy when I found these tight dungarees at H&M. These tight dungarees fit me like a glove and they feel much more dressed than a baggy pair would. And as I have learned: Less is more when it comes to my own style. That’s why I have been wearing them with a very simple cream white turtleneck body. I have been on the lookout for other tops, but I haven’t found something I really like. You see, I’m really feeling that seventies vibe at the moment. But I can’t seem to find many clothes in that style in stores. I did find a gorgeous crossbody bag by Sandro. It’s basically perfect because it’s so different, but yet very timeless. I will tell you more about this bag in another article. I just think it looks amazing with any outfit, just like this one. The Lou bag gives my outfit a bit more class and a high fashion look, love it! Let’s talk shoes. I forgot my favorite black ankle boots at the office, so I opted for these strappy heels. I think a pair of strappy heels like these are very versatile. They really match with every outfit because they don’t take up too much of your attention. They simply add some height and a bit of class to the outfit. When it comes to these tight dungarees, I was a bit afraid they might look a bit tacky. These shoes actually look really good with this outfit. I think that using simple items to dress them up works really well. It’s basically the simplest outfit you can create. You just jump into your dungarees, get a simple t-shirt, grab your favorite pair of heels and you are ready to go. It really makes it very easy to create a casual look. I will definitely try these dungarees with some sneakers and a sweater too. Although I’m not quite sure how to style that yet, haha! I’m also in the midst of creating my own style, so we shall see if I can pull it off. 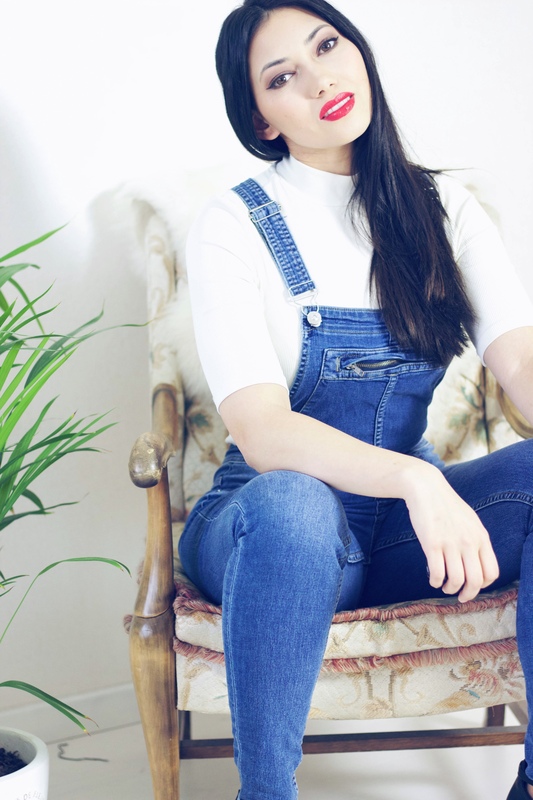 Do let me know what you think of this outfit and how I styled the dungarees. Do you like simple outfits too? P.S. Follow me on Bloglovin for more fashion articles.